3600601 20DA-7E HYUNDAI 20DA-7E Diesel Forklift DA series. Spare parts catalog. Service Manual. 3600602 50DA-7E HYUNDAI 50DA-7E Diesel Forklift DA series. Spare parts catalog. Service Manual. 3600604 20DF-7 HYUNDAI 20DF-7 Diesel Forklift DF series. Spare parts catalog. Service Manual. 3600605 20DF-7T HYUNDAI 20DF-7T Diesel Forklift DF series. Spare parts catalog. Service Manual. 3600606 25DF-7 HYUNDAI 25DF-7 Diesel Forklift DF series. Spare parts catalog. Service Manual. 3600607 25DF-7T HYUNDAI 25DF-7T Diesel Forklift DF series. Spare parts catalog. Service Manual. 3600608 30DF-7 HYUNDAI 30DF-7 Diesel Forklift DF series. Spare parts catalog. Service Manual. 3600609 30DF-7T HYUNDAI 30DF-7T Diesel Forklift DF series. Spare parts catalog. Service Manual. 3600610 33DF-7 HYUNDAI 33DF-7 Diesel Forklift DF series. Spare parts catalog. Service Manual. 3600611 33DF-7T HYUNDAI 33DF-7T Diesel Forklift DF series. Spare parts catalog. Service Manual. 3600612 35DF-7 HYUNDAI 35DF-7 Diesel Forklift DF series. Spare parts catalog. Service Manual. 3600613 50DF-7 HYUNDAI 50DF-7 Diesel Forklift DF series. Spare parts catalog. Service Manual. 3600614 60DF-7 HYUNDAI 60DF-7 Diesel Forklift DF series. Spare parts catalog. Service Manual. 3600615 70DF-7 HYUNDAI 70DF-7 Diesel Forklift DF series. Spare parts catalog. Service Manual. 3600617 35DS-7 HYUNDAI 35DS-7 Diesel Forklift DS series. Spare parts catalog. Service Manual. 3600618 35DS-7E HYUNDAI 35DS-7E Diesel Forklift DS series. Spare parts catalog. Service Manual. 3600619 40DS-7 HYUNDAI 40DS-7 Diesel Forklift DS series. Spare parts catalog. Service Manual. 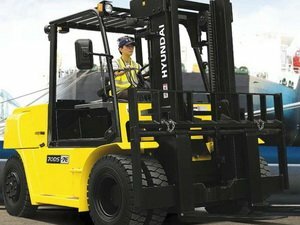 3600620 40DS-7E HYUNDAI 40DS-7E Diesel Forklift DS series. Spare parts catalog. Service Manual. 3600621 45DS-7 HYUNDAI 45DS-7 Diesel Forklift DS series. Spare parts catalog. Service Manual. 3600622 45DS-7E HYUNDAI 45DS-7E Diesel Forklift DS series. Spare parts catalog. Service Manual. 3600623 50DS-7E HYUNDAI 50DS-7E Diesel Forklift DS series. Spare parts catalog. Service Manual. 3600624 60DS-7E HYUNDAI 60DS-7E Diesel Forklift DS series. Spare parts catalog. Service Manual. 3600625 70DS-7E HYUNDAI 70DS-7E Diesel Forklift DS series. Spare parts catalog. Service Manual.